Be sure to pre-order chocolate-dipped strawberries, champagne and flowers to be placed in your room upon arrival. Tour the wineries with Majesty Tours. They have a variety of tours that you can choose from and one of their pickup locations is at the Hoffman Haus parking lot. Eat at Vaudeville, with bistro-styled food and a coffee bar. Pre-book and enjoy a couples massage with Gabi at Hoffman Haus. 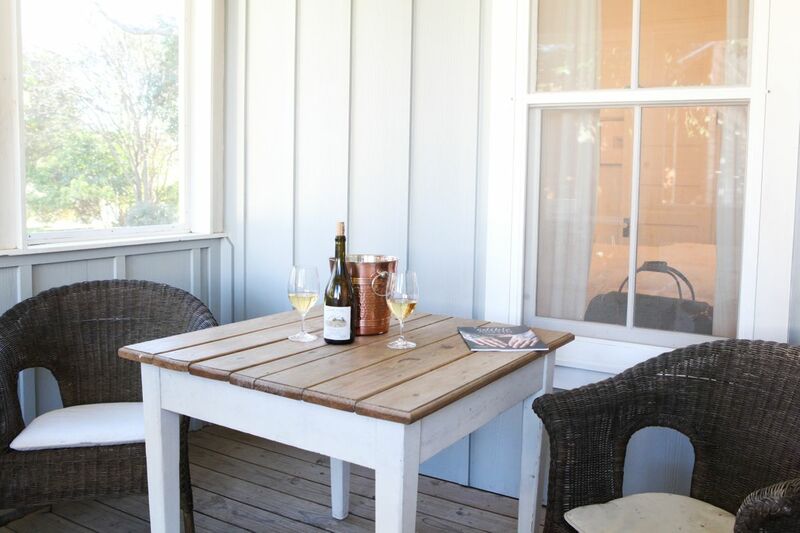 After your massage, relax on the porch with a bottle of wine. Eat in and enjoy a private evening to yourself. Try one of Hoffman Haus’s chef-prepared meals. If you are feeling like spoiling yourselves, pre-book a private dinner with one of our guest chefs. Finish your walking tour at Chocolat, where you can find a tasty selection of chocolates.